It is that time! An indicator that we are halfway through the NBA season, also known as NBA All-Star weekend! This year’s All-Star festivities were held in Los Angeles. 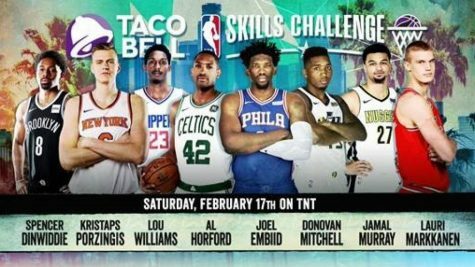 Filled with six events over the span of three days, February 16 through February 18, the NBA All-Star weekend consists of: The Mountain Dew Rising Stars Challenge, Ruffles All-Star Celebrity Game,Taco Bell Skills Challenge, Verizon Slam Dunk Challenge, JBL Three Point Contest, and the NBA All-Star Game. The Ruffles All-Star Celebrity was the first game consisting of a select group of actors, actresses, singers, and other athletes. It was the theme of Team Lakers versus Team Clippers. On Team Laker, some big names were Nick Cannon, Tracy McGrady, and Justin Bieber. Team Clippers had celebrities such as Jamie Foxx, Quavo, and Bubba Watson. 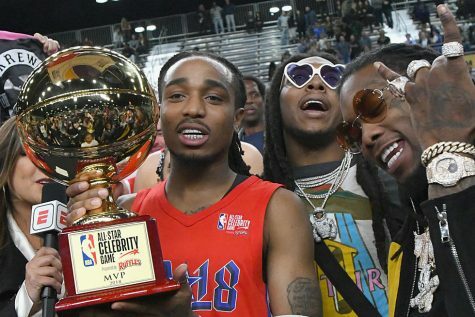 The game was nowhere near perfect, but Team Clippers coached by actor Michael B. Jordan was able to take care of business and win 75-66 with Quavo putting up 19 points, naming him the MVP of the game. The next event was the Mountain Dew Rising Stars Challenge. The event is led by NBA players who are either rookies or in their second year in the league. It was Team World versus Team USA. 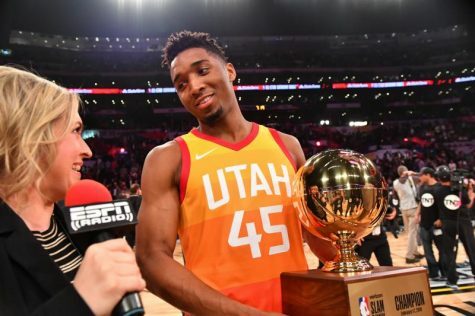 Team USA was led by Laker sensations Lonzo Ball and Kyle Kuzma, and Utah Jazz rookie Donovan Mitchell. 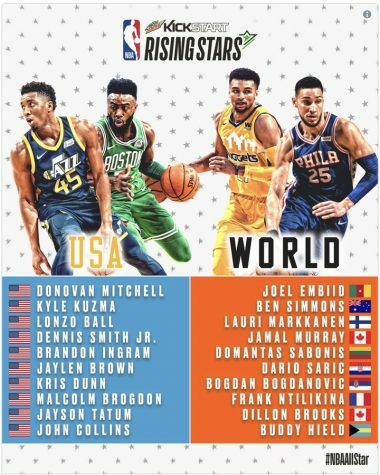 Team World was led by the 76ers stars Joel Embiid and Ben Simmons. Team USA stood no chance as they got routed 155-124 by Team World. 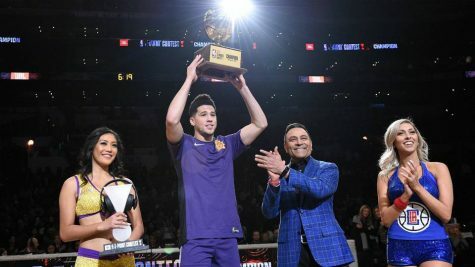 Sacramento Kings rookie Bogdan Bogdanovic received MVP with his 26 point, seven three pointers made, performance. valiers Larry Nance Jr. It was creative as Larry Nance dressed up as his late great father, Larry Nance jersey. Donovan Mitchell wore Vince Carter jersey and also put on a black panther mask. Donovan Mitchell came out on top. The main event on Sunday, February 18, was the NBA All-Star Game. 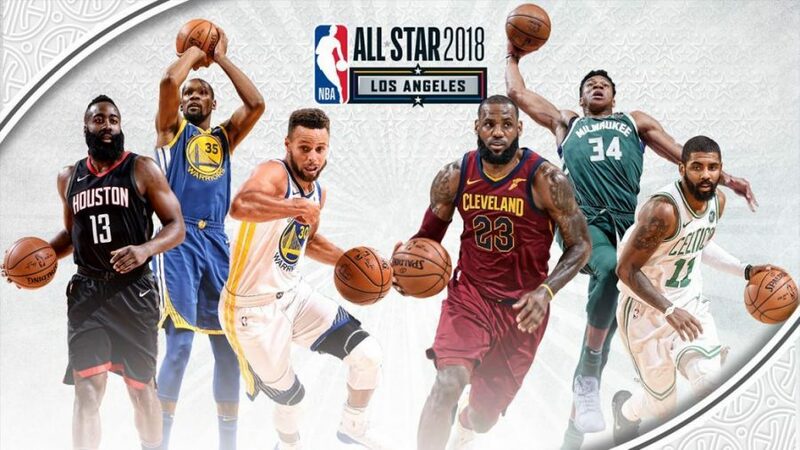 This year’s all-star game had a different format than previous years. 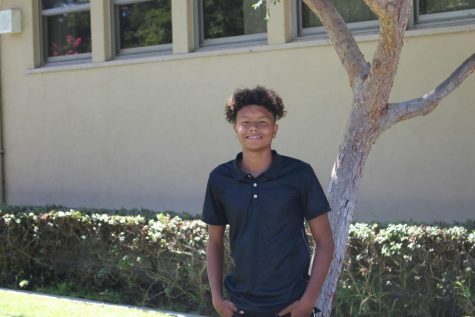 Captains were selected and they were able to pick players of their choice. The two captains were LeBron James and Stephen Curry. 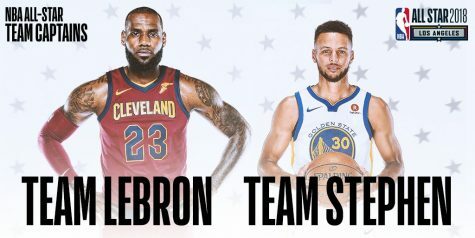 On Team LeBron,was New Orleans’ big man, Anthony Davis, Warrior’s Kevin Durant, OKC Thunder’s Russell Westbrook, and Celtic’s Kyrie Irving at the starters. Team Curry had Milwaukee Bucks star Giannis Antetokounmpo, Raptors Demar DeRozan, Joel Embiid, and also James Harden. The game was close and more competitive than recent years. Team LeBron came out on top with a 148-145 win. 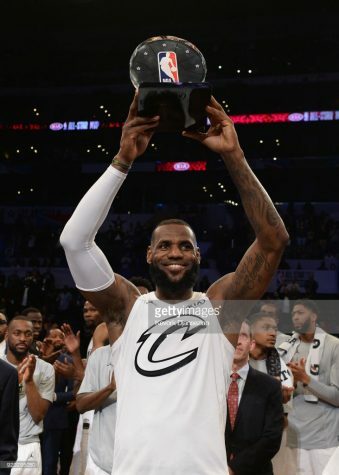 LeBron James had a 29 point, 10 rebound performance that ultimately gave him the MVP of the game. One thing is for certain, the second half the basketball season will be worth watching.